This printable pack contains six pages for your child to practice adding up to 100. Use the hundreds chart to help add – your child can color in the dots for each number, and then use the chart to help them come to the correct answer. 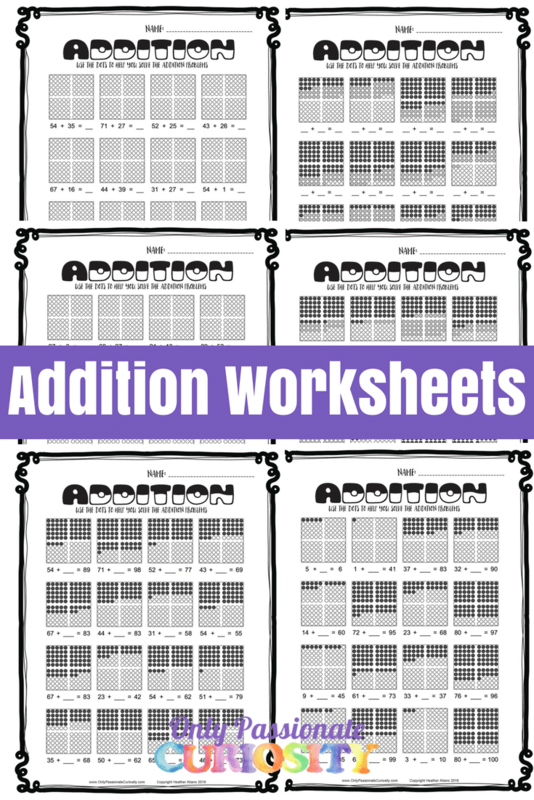 There are three different worksheets in this set with varying levels of difficulty. Download this addition pack in our shop today. For more free homeschooling resources, stop by our free homeschooling list.